Following on from their multi-million selling diet books, THE HAIRY DIETERS and THE HAIRY DIETERS: EAT FOR LIFE, the Hairy Bikers share more delicious low-calorie recipes and easy-to-follow advice. Si King and Dave Myers are the nation's favourite food heroes. The stars of numerous TV cookery series, they represent all that is good-hearted and loved about food. Si King and Dave Myers, aka the Hairy Bikers, have been entertaining and feeding Britain with their unique blend of tasty recipes, cheeky humour and motorbike enthusiasm for years now. 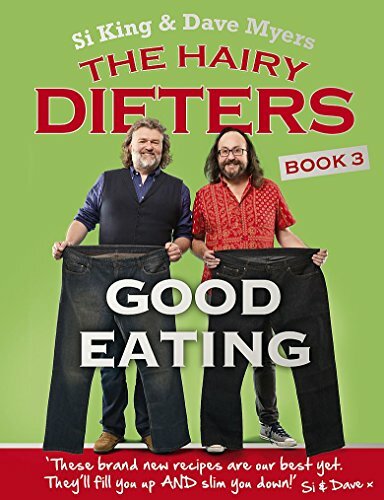 The Hairy Dieters books have sold nearly 2 million copies in the UK and their third diet book provides even more low-cal family favourites. A fantastic recipe book for those looking to lose weight and create delicious but healthy family meals.This paperback book has 192 pages and measures: 24.6 x 19 x 1.7cm.